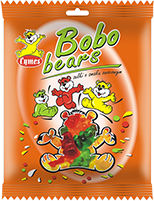 Fruity jelly bears are a real treat for children of all ages. They contain only natural colours and are made with no preservatives. The main ingredient is pork gelatine, which ensures safety of the product. 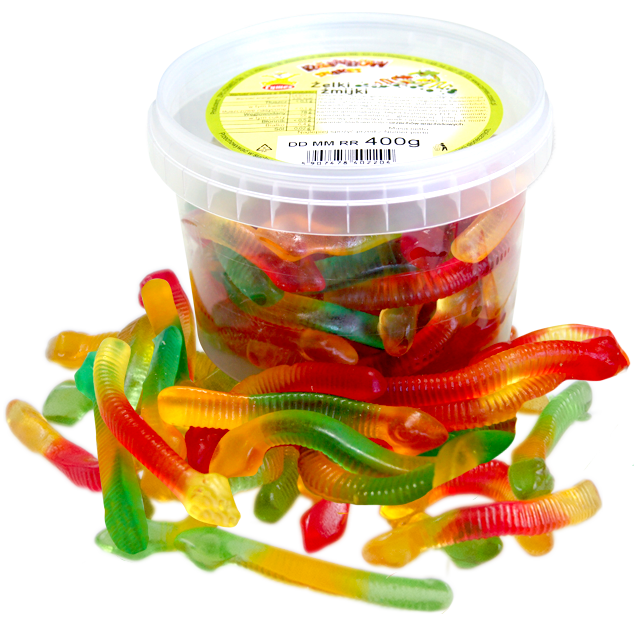 Delicious fruit jellies which look like merry earthworms. 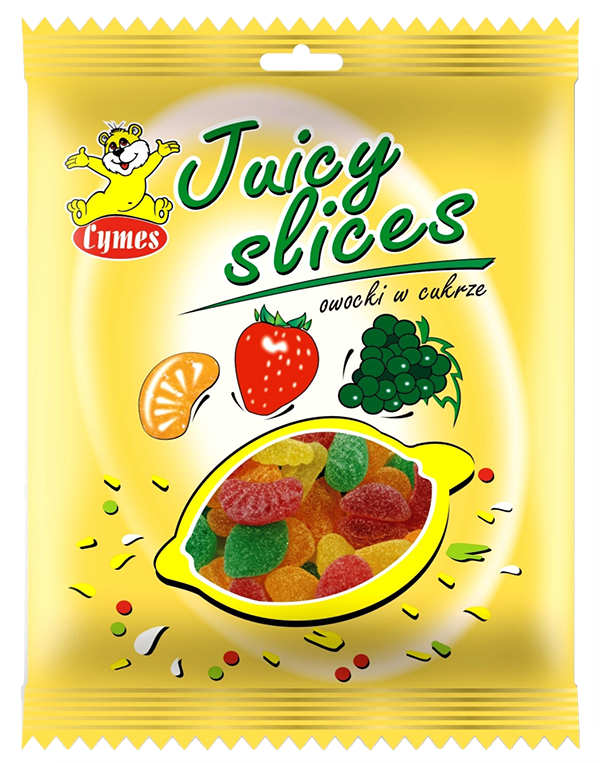 Great taste, beautiful colours derived using natural dyes, high-quality gelatine and no preservatives make them worth tasting. 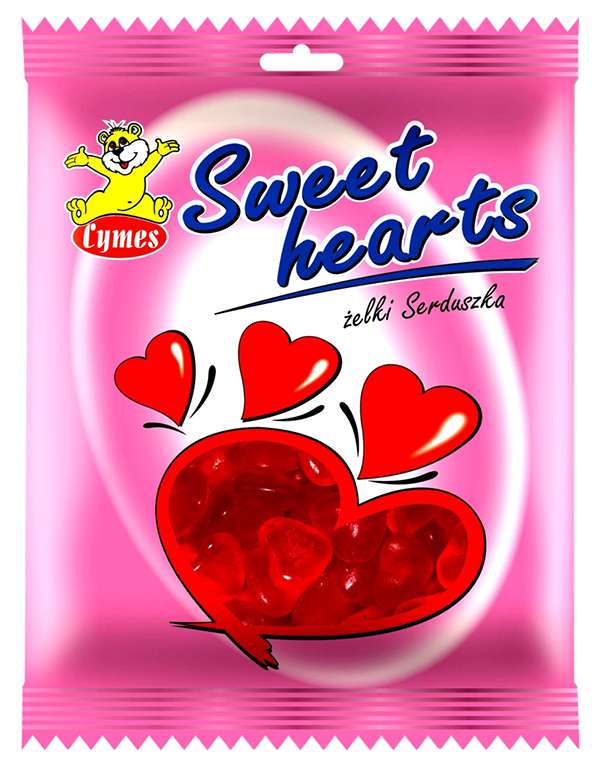 Beautiful red hearts for all lovers of sweet jellies. Thanks to their colour, derived from natural dyes, and their shape of a heart, they are a perfect treat not only for kids but also for adults, especially if you want to show love. 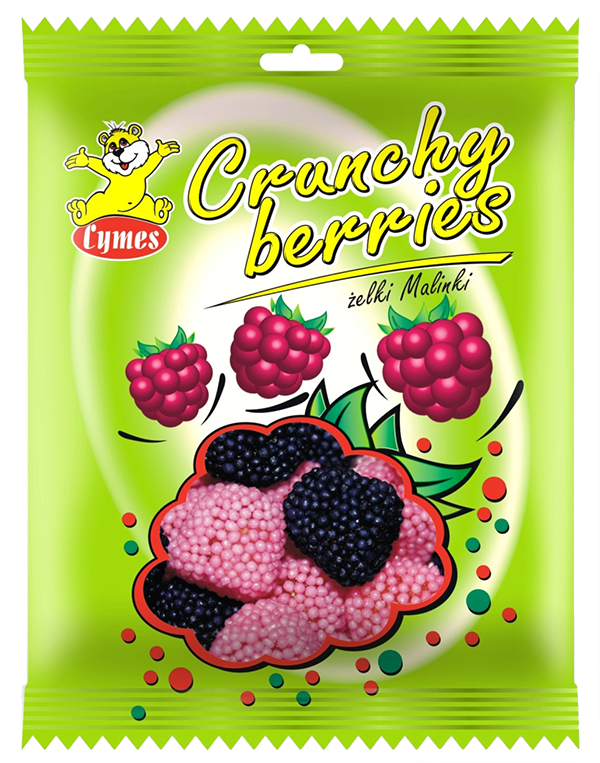 Berry-shaped jellies coated in crispy balls. They owe their beautiful colour to natural dyes and contain excellent quality pork gelatine and no preservatives, which makes them tasty and healthy. 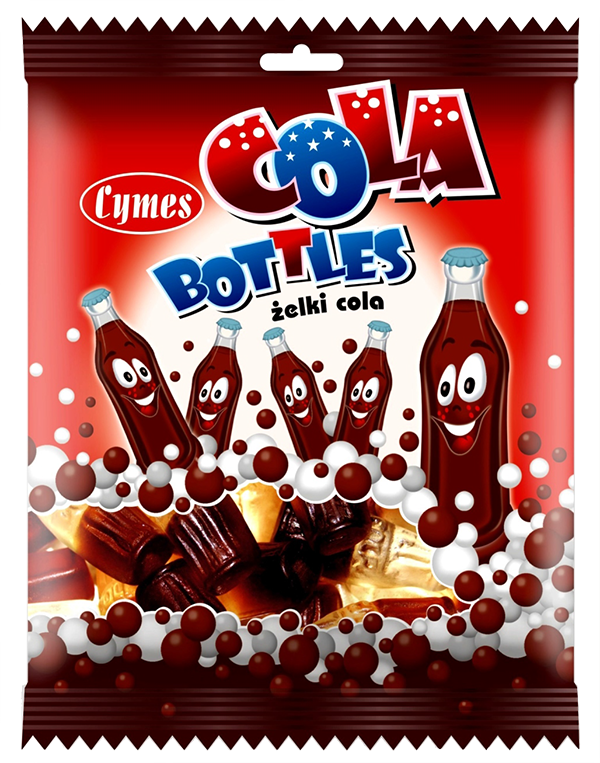 Jellies that taste like cola and are shaped like cola bottles will appeal to each and every cola fan. They stand out in the market thanks to the use of natural colours and a lack of preservatives. 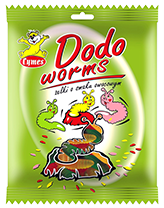 Sold in a large packet, perfect to be shared with your friends. 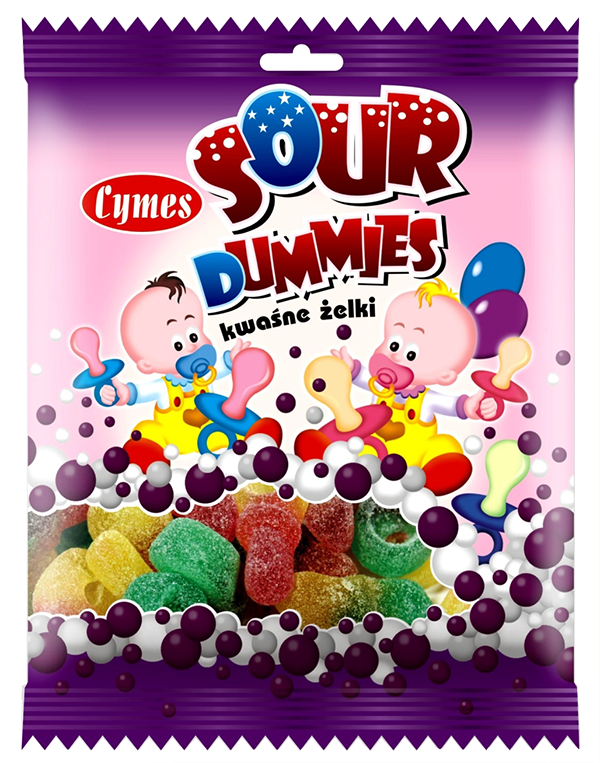 Jelly dummies will appeal to all lovers of distinctive sour flavours. When looking through a coat of crunchy sugar, you can see their beautiful colours obtained using natural dyes. The funny shape of a dummy makes you want to put a jelly in your mouth and thus embark on a journey into childhood memories. Fruity sugar-coated jelly beans are a great snack for all nature lovers. Each jelly is shaped like a fruit and has a colour of fruit, derived from natural dyes. Jelly beans in the shape of żmijek. The composition provides excellent texture and a nice color, and the lack of preservatives and high-quality gelatin makes them a tasty treat.